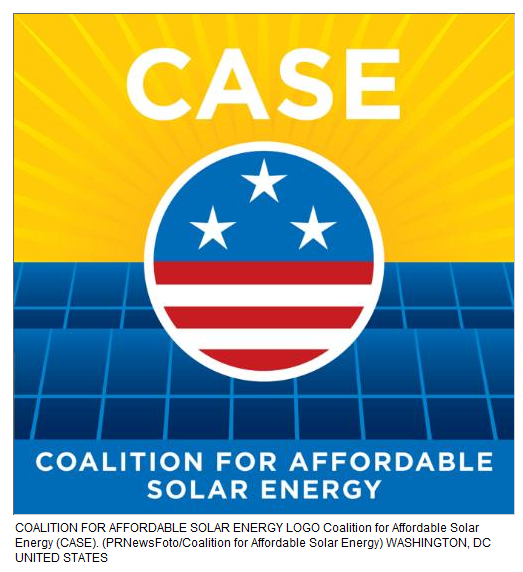 WASHINGTON, Nov. 17, 2011 /PRNewswire/ — Within one week of forming, dozens of U.S. solar companies, representing thousands of American jobs, have joined the Coalition for Affordable Solar Energy (CASE) to urge policymakers to help find a resolution to SolarWorld’s harmful trade petition. The Coalition now represents 52 American solar companies from across the United States and throughout the solar value chain and more than 9,600 jobs, or nearly 10% of the U.S. solar industry workforce. 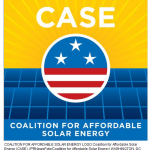 CASE members represent a large cross section of the U.S. solar industry, both large and small companies, including silicon and module manufacturers, project developers, financial and real estate services and installers. SolarWorld’s trade action has been largely unpopular in the U.S. solar industry, given its potential to hurt thousands of jobs throughout the solar value chain. In a survey conducted by PV Magazine, 76.4 percent of respondents opposed the petition with only 20 percent expressing support. To learn more about the Coalition for Affordable Solar Energy (CASE), please visit our website:www.coalition4affordablesolar.org . Log in | 80 queries. 1.921 seconds.